The participation fees are presented in the table below. The bank will charge the equivalent of the mentioned amount of AMD based on the exchange rate of the day. Please note that the participation fee does not include accommodation or meals. To get advice on accommodation or inquire about available discounts and scholarships, please contact us. Basic knowledge of linear algebra, calculus, probability theory, and statistics. Prior knowledge of R or Python, or experience with programming in general is a plus. The basics of both languages will be covered at the beginning of the Summer School as either R or Python will be used as working languages. Students will need to bring their own laptops to the class. Considering that the working/teaching language of the program is English, upper intermediate level of English knowledge is sufficient. 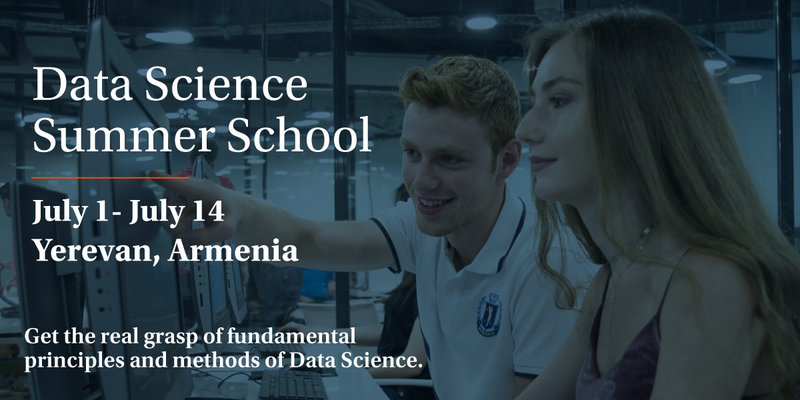 AUA Data Science Summer School is designed to give you a real grasp of fundamental principles and methods of Data Science to advance your career.